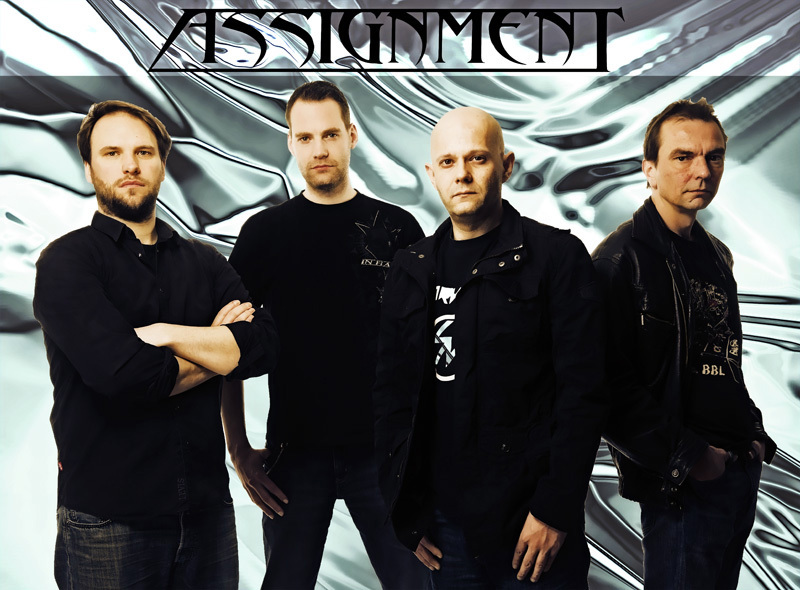 Assignment is another band releasing a new album on a new label after a short silence, five years to be correct. Inside Of The Machine, the progressive metal band's third work, finds them signed to Belgian's Mausoleum Records. It's also a quite ambitious work at that: a concept album with four different vocalist player character parts, and several guest guitarists. Assignment: the four principal players. For the concept and vocalists, which include Robin Beck, Mats Leven, and Michael Bormann, and their parts you can check out the information following the review. Of three guest guitarist the most notable wizard is Bernie Versailles from Redemption offering some lead songs, though I don't know on which song(s). 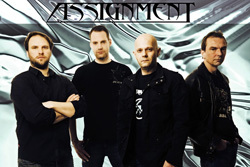 As for the music, this Assignment at their best, creating a progressive metal package by mixing elements of classic melodic hard rock, melodic and symphonic metal metal, power metal, and even a little rock fusion. That comes in the latter half of the instrumental Bug In The System, one of the best songs here. Some the best vocal songs are those with Bormann and Robin Beck (only because she's one of the best rock vocalists around), specifically Love Between Heaven & Hell and Ending Love. The latter one finds Beck's presence a bit stronger in front end which makes the song even more compelling. The antagonist in the story is obviously The Machine and it's introduction in I Am The Machine has a heavier darker feel. Alternatively, the concluding End Of The Machine has more melodic and brighter, yet still forceful, timbre to it. Throughout you get lots of ripping guitar leads often paired alternating synth solos. I'm guessing the full CD package comes with all the lyrics, otherwise, at times, the story is difficult to follow. Once more, Assignment's Inside Of The Machine is an ambitious and entertaining work of melodic progressive metal. Recommended. It is a story between fiction and reality, about the here and now and a possible dark future that this world is heading to. Following the main character Nick in his fight through life where he has to handle all those things that surround us day by day in our reality: Love, betrayal, greed, Injustice and political chaos. Michael Bormann is the main character Nick who faces this fictional world but also has to face himself and his acting in reality. Is he changing or the world around him? Robin Beck is the Mistress. She stands for both ways of love, giving you the biggest high, putting you in the deepest low. Carsten Kaiser is the Machine: the darkness of our hearts and a reproduction of society. He is representing wrong ways in life and all negative impacts which make us vulnerable. Mats Leven is the Preacher: there is no real religious aspect here, it is more the voice of truth. At some point his words influence Nick and follow him through the story. 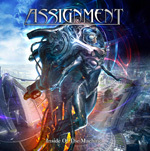 Assignment's Inside Of The Machine is an ambitious and entertaining work of melodic progressive metal, in both concept and production.